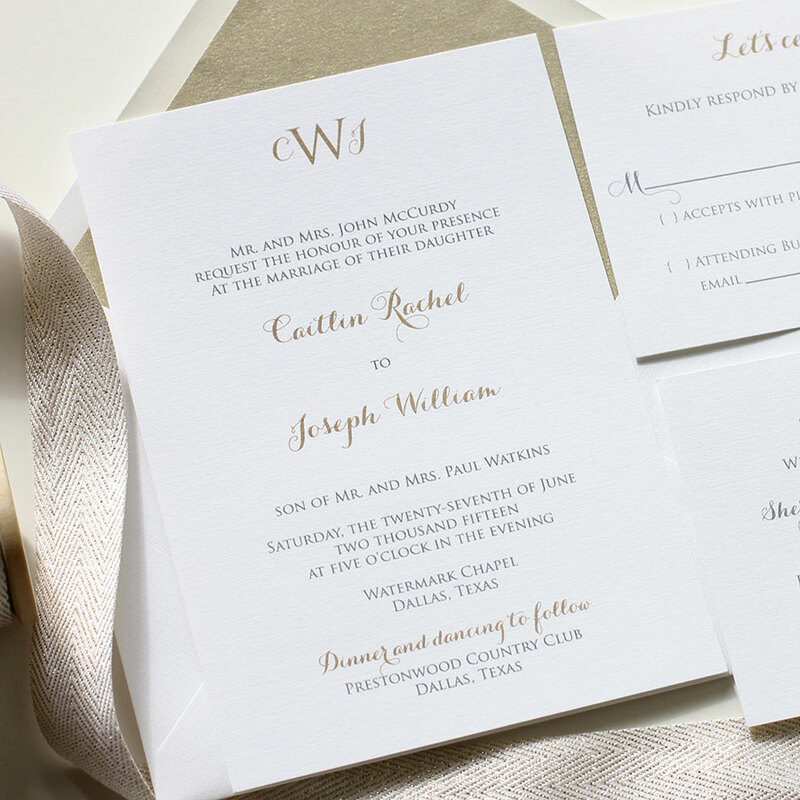 I absolutely adore the metallic gold & gray color combination on this gorgeous monogram wedding invitation suite. This classic monogram design was thermography printed on white linen and included a ribbon belly band to tie everything together. 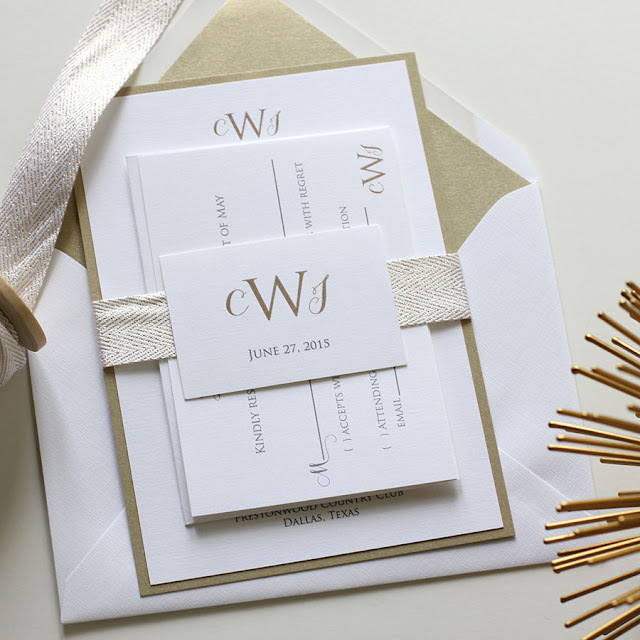 Gold has been an extremely popular wedding color this year and I don't think this will be changing anytime soon. It pairs beautifully with so many colors and is especially regal when paired with gray or silver.